We are based in Woolacombe, North Devon offering our online store stocking LeMieux, Acavallo, NAF to name but a few of our ranges. 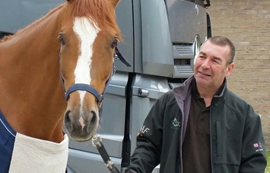 Our Horse Transport business keeps us very busy travelling through the UK and Europe. 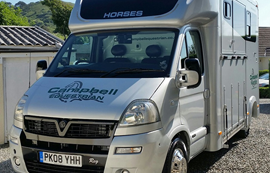 When not in our own lorry Cameron is busy as a Freelance Equine Driver getting horses and people to their destination all over Europe. 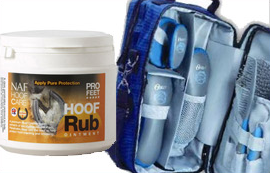 "Take away all that stress by having your horses driven by a professional equine driver."